Week 2 of the monthly meal plan series. The plan includes a 5 day planned menu, comprehensive macro chart, and grocery list. This meal plan, and it’s contents, are not to be re-sold, re-distributed, or posted to social media. This meal plan does not guarantee weight loss or improvement to health. No refunds or exchanges. Do you get overwhelmed trying to figure out what you’re going to eat all week and meet your macros? Let me take some of the stress out for you with a keto meal plan! Meal plans are designed to maximize your macros and your budget. 4 dinner plans are included in each week. Some meals repeat to utilize leftover food (no waste here!). Breakfast and lunch options vary per week. Recipes included are all made by Keto In Pearls. Save even more time with the prepared grocery list. Organized by department for easier shopping. Check off what you already have and add extras your family needs in the space provided! Take the guess work out of budgeting your macros. The sample eating plans are designed to give you a clear idea what a typical day of eating would look like. 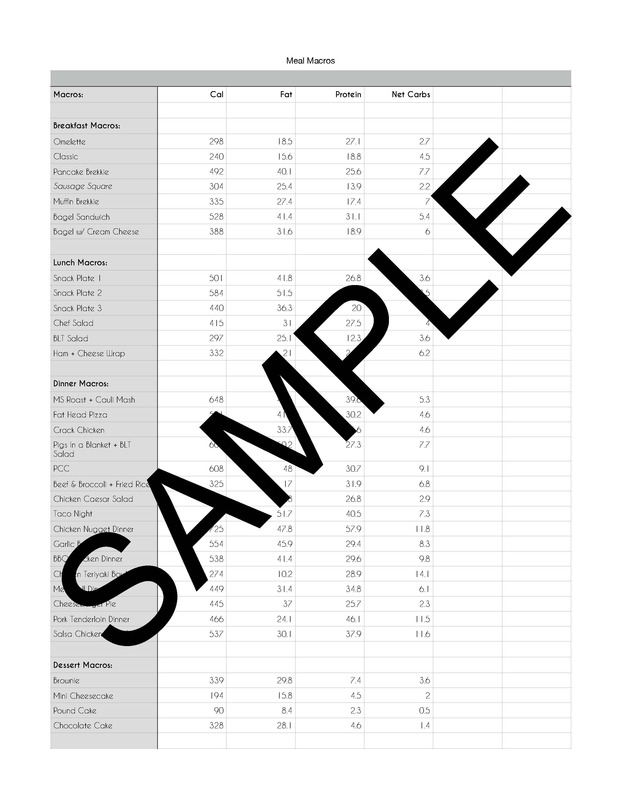 Macros are calculated in My Fitness Pal with recipes and ingredients found in the meal plan. Net Carbs are kept between 11-25 grams per day. Fat grams, protein grams, and calories are intentionally left lower for flexibility. You’ll also get meal prep suggestions and bits of wisdom are provided to help you maximize your success on your keto journey!